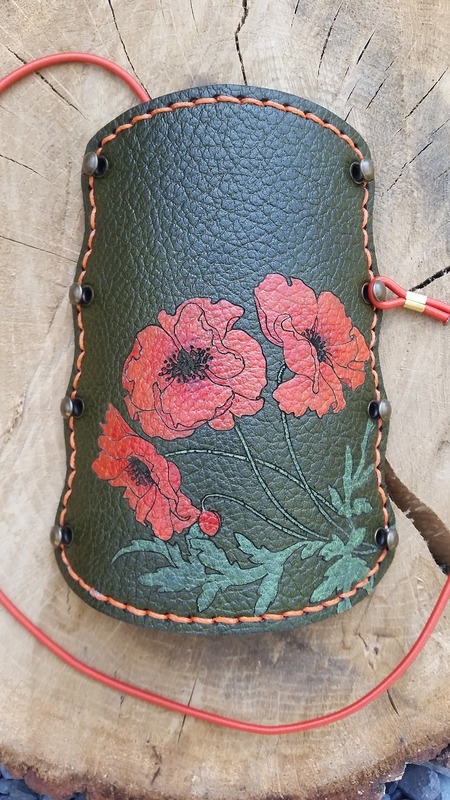 Requested by a returning customer; a bundle of bright poppies on a moss green background. 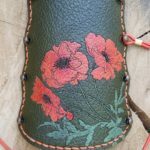 The petals have soft color variations in them to make them seem more life like, while the matching elastic cord was a favourite of the customer. 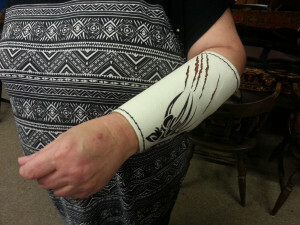 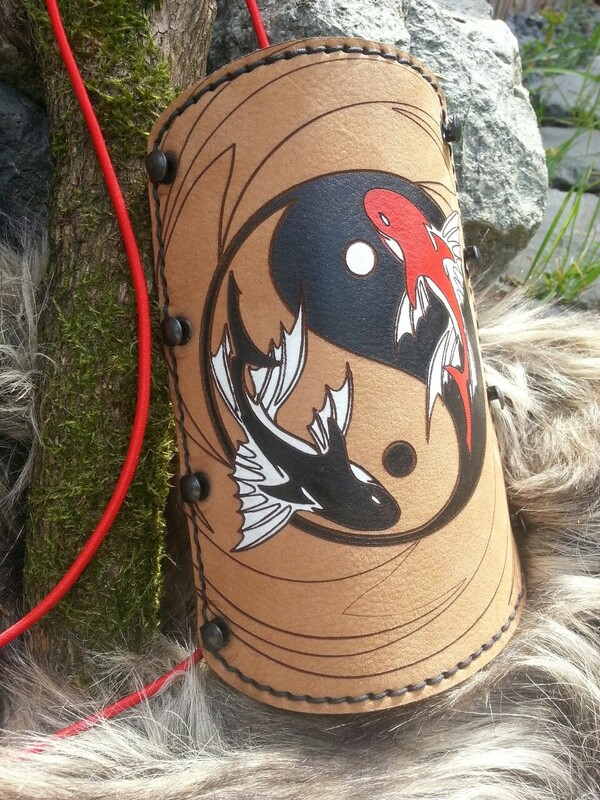 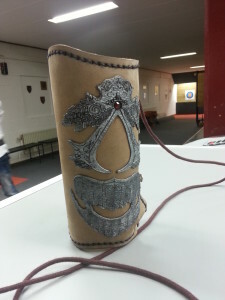 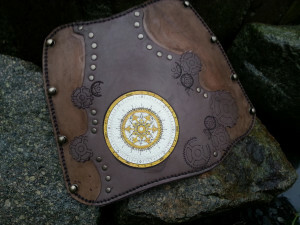 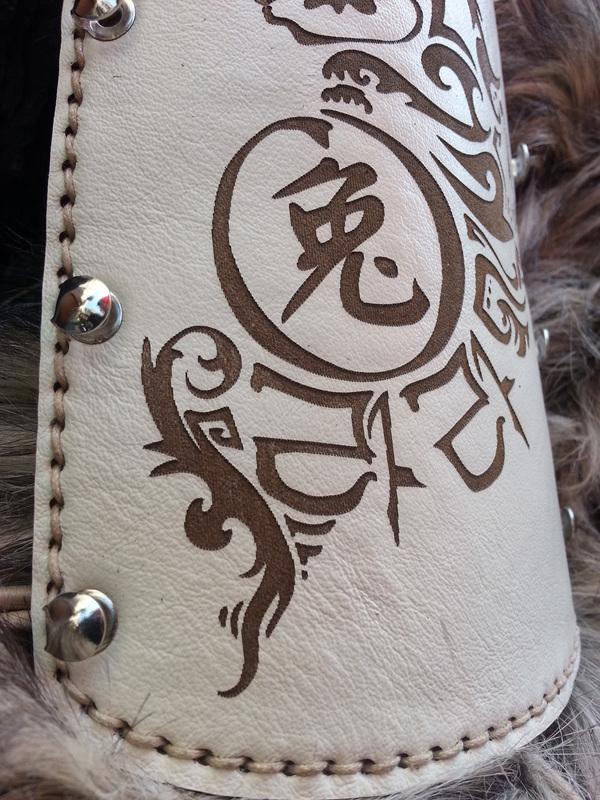 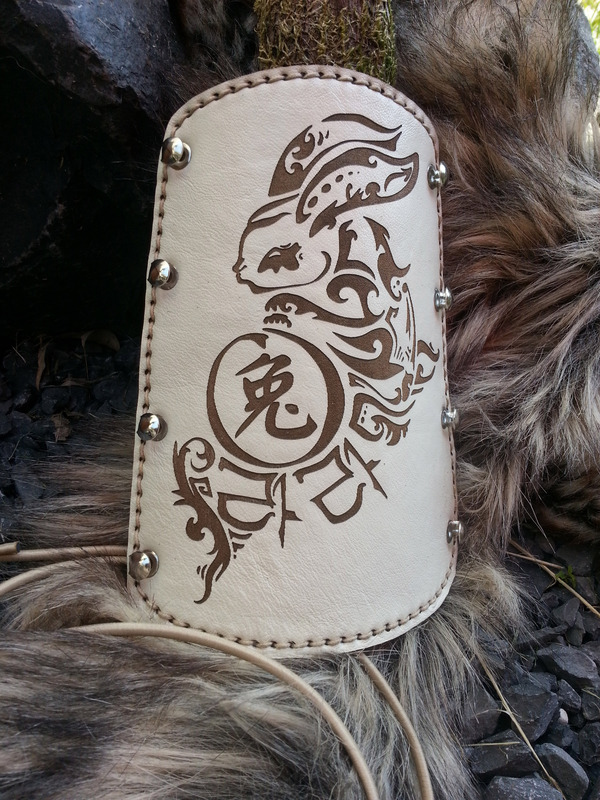 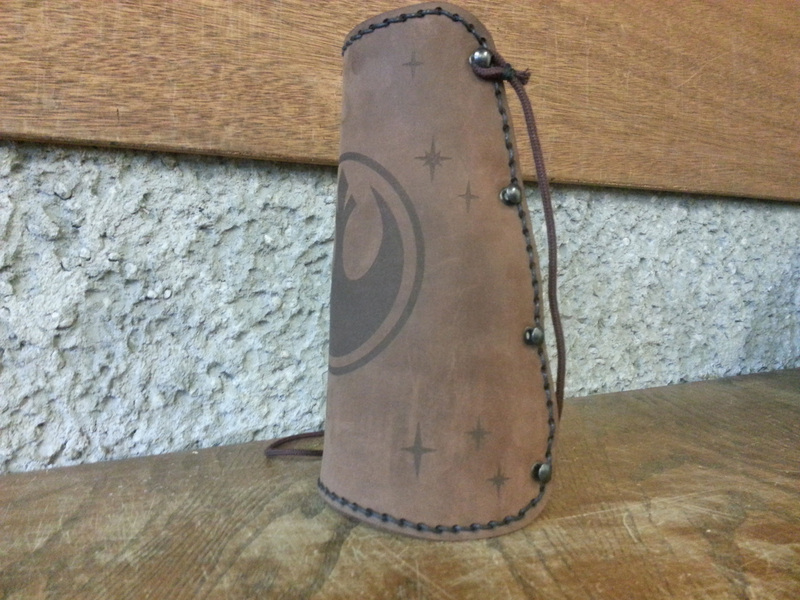 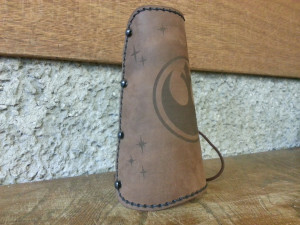 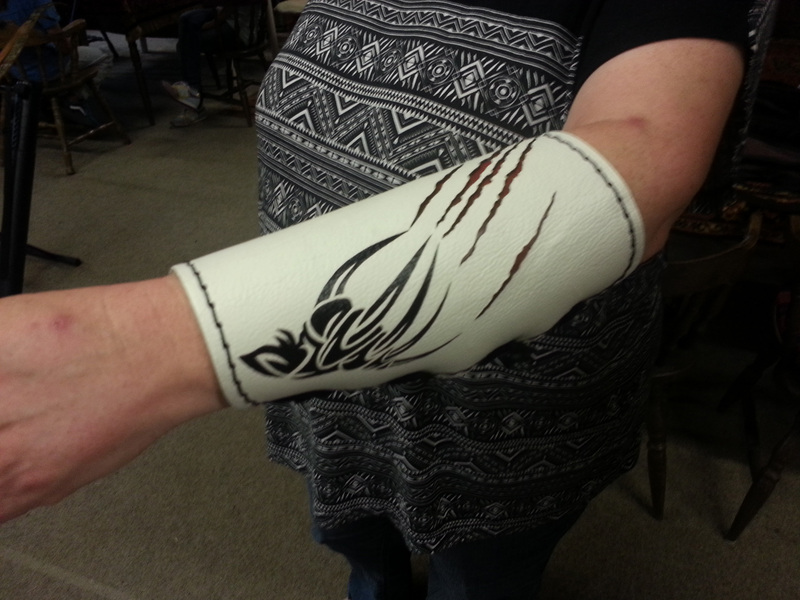 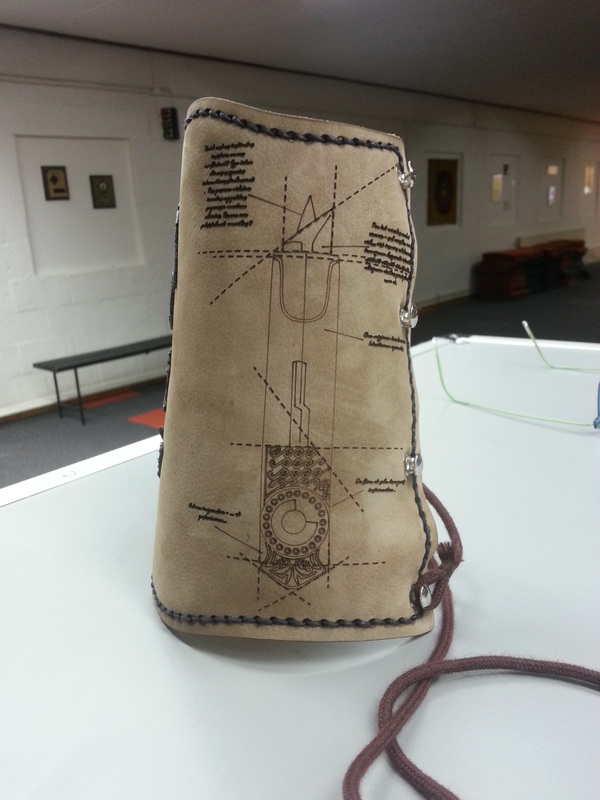 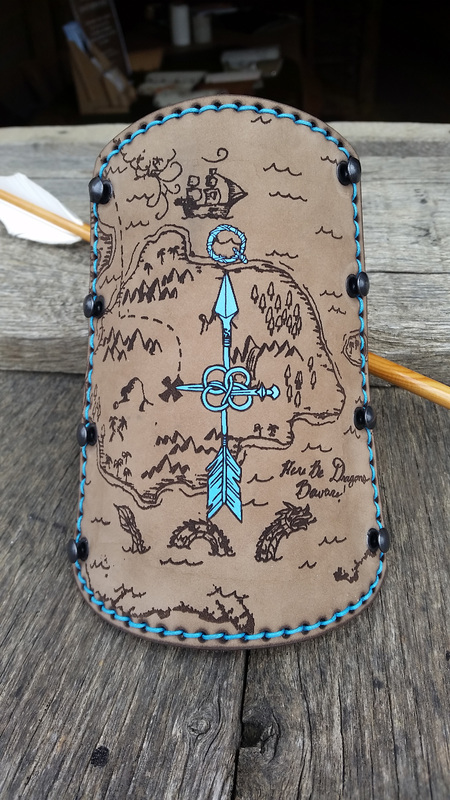 Ordered on the same brown suede as her sister’s armguard, this one was requested by a young customer who delivered her own sketches for her dream armguard. 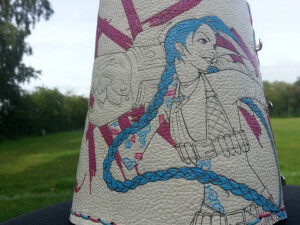 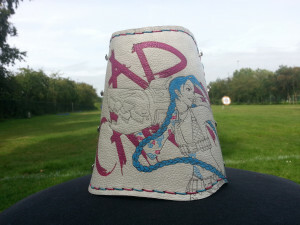 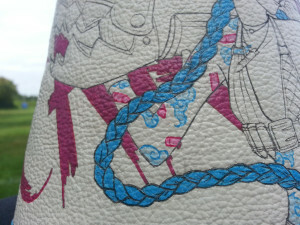 Handmade, all new illustration on a white leather. 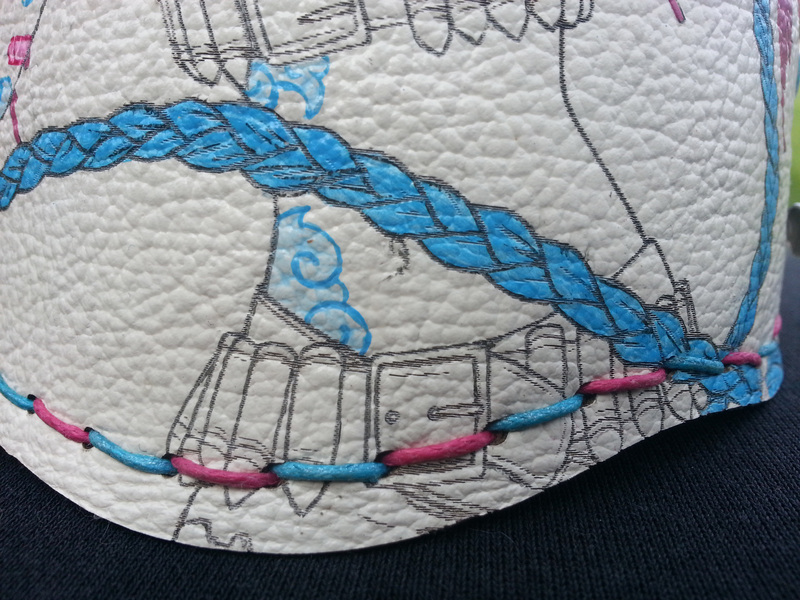 I chose to colour only her hair, eyes, and tattoos. The background reads ‘AD CARRY’ in a spray paint-like design. 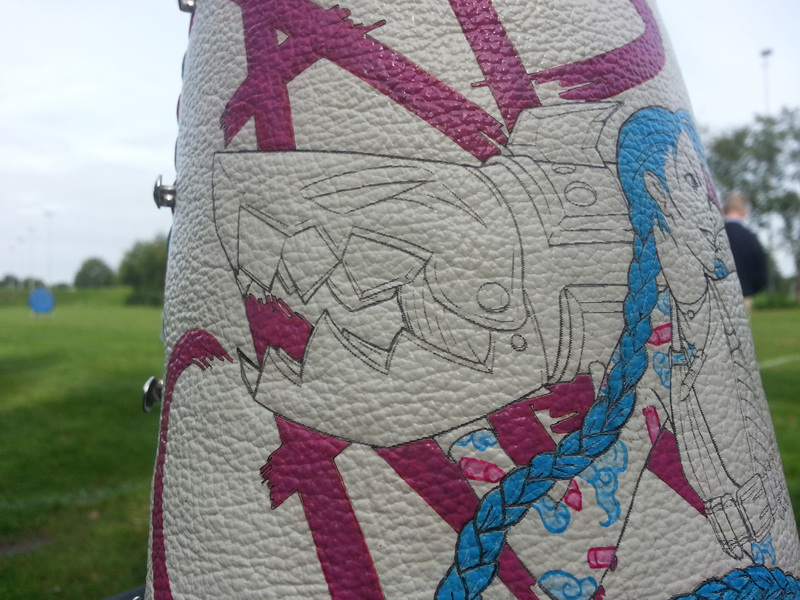 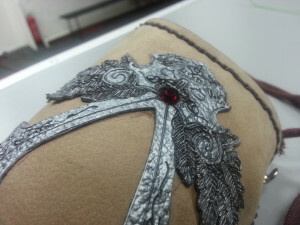 I was especially happy with the double colored stitching! 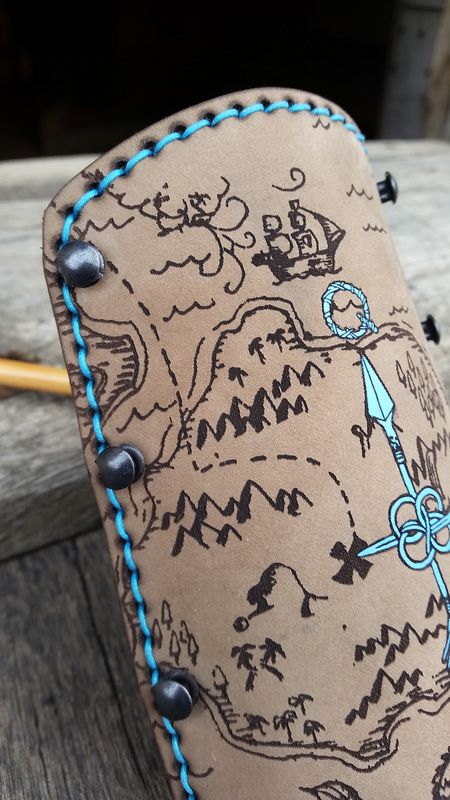 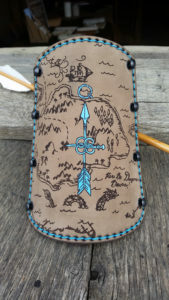 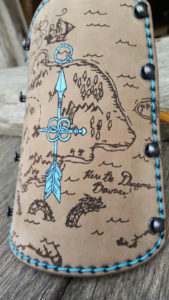 Brown armguard with a map engraved (the customer sent me a photo from a book that had the map in the front), adding a compass and her initials in a bright, turqoise blue and matching stichtings. 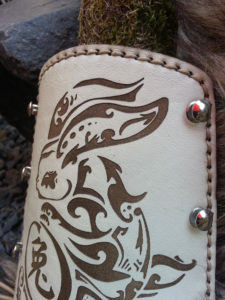 A cream white leather, engraved with the tattoo of the archer who requested it. 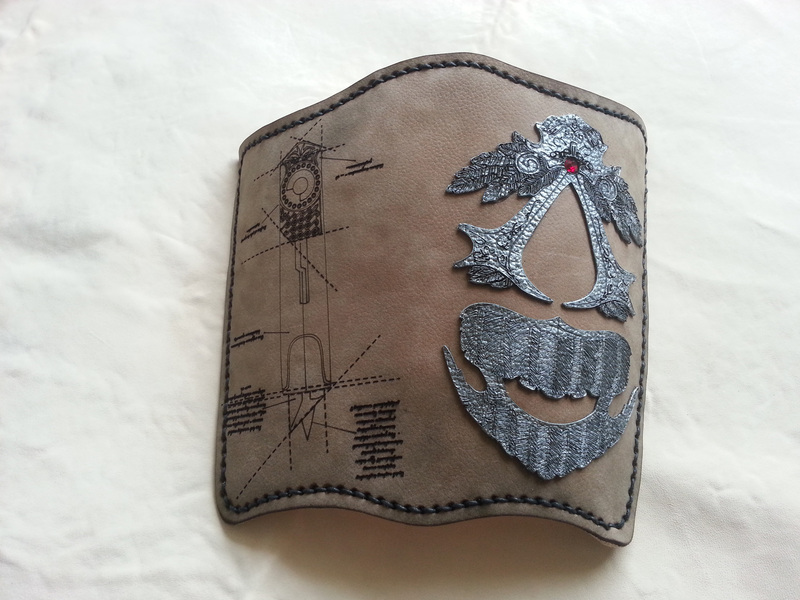 A soft brown suède with a silver painted AC-emblem, with a small gem as an extra touch. 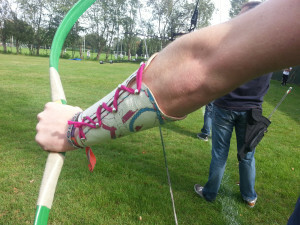 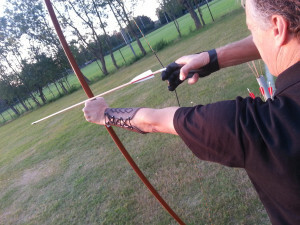 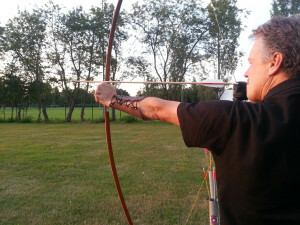 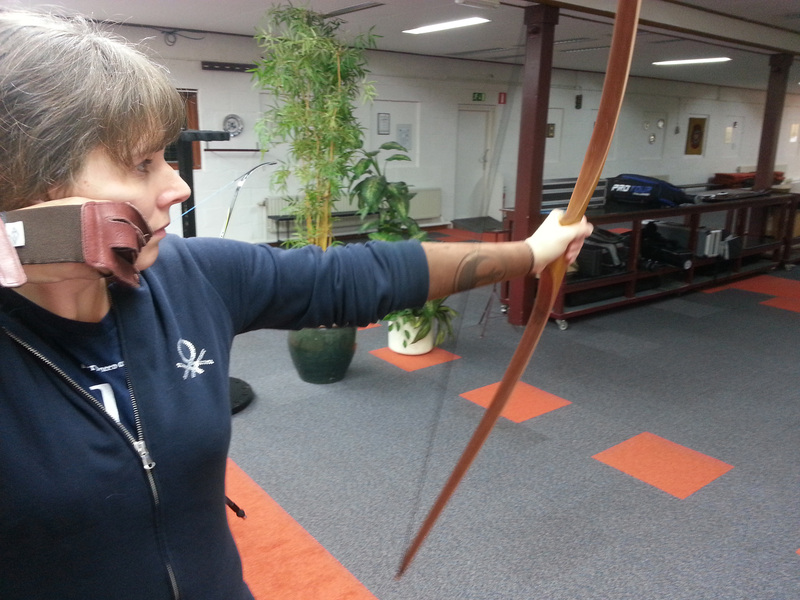 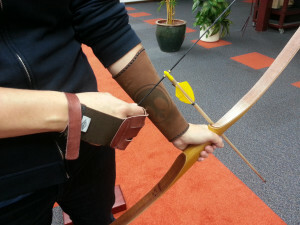 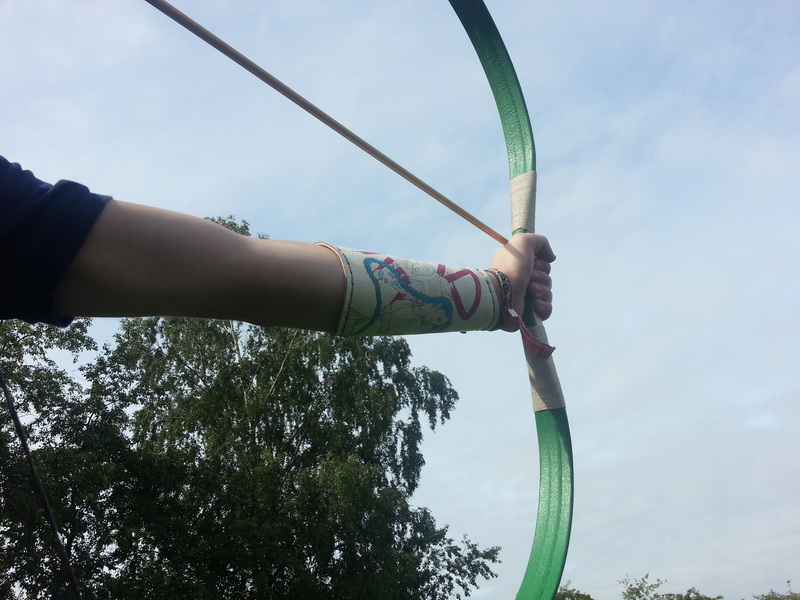 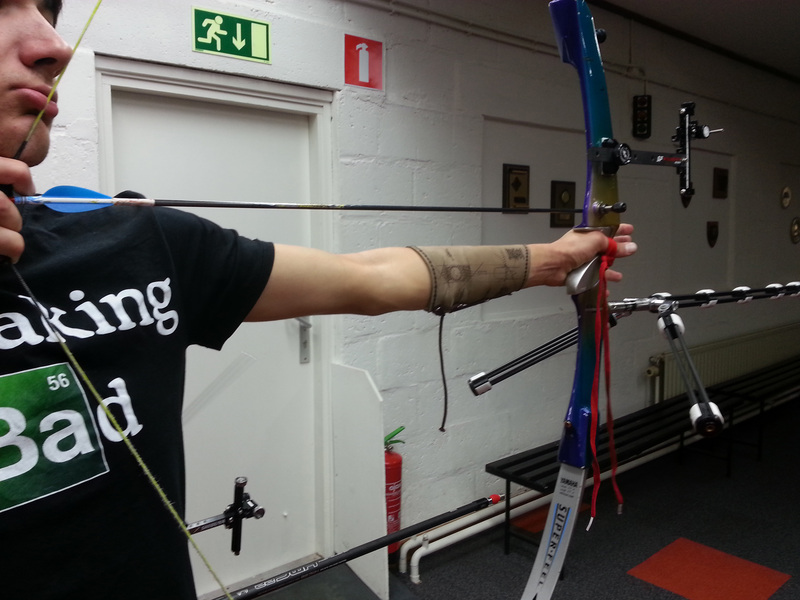 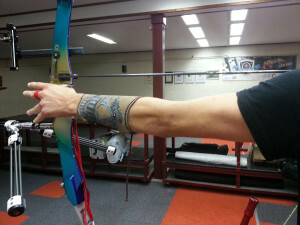 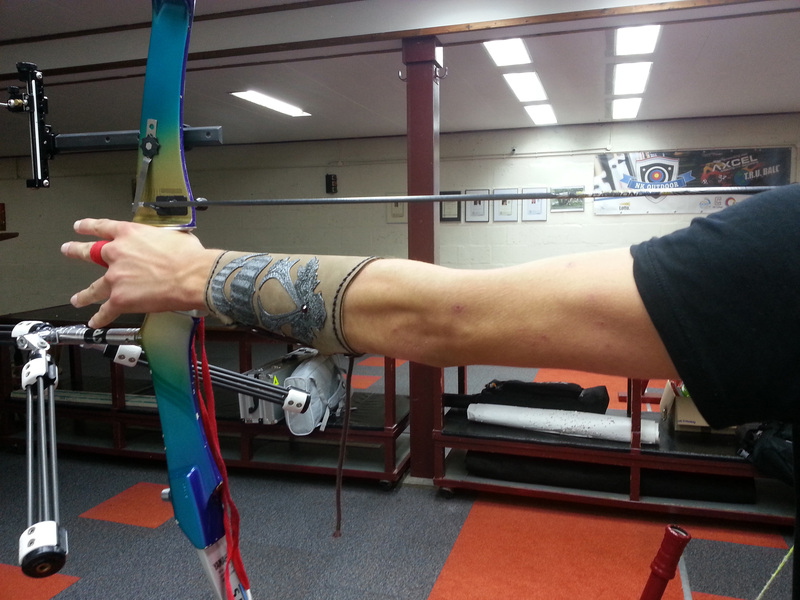 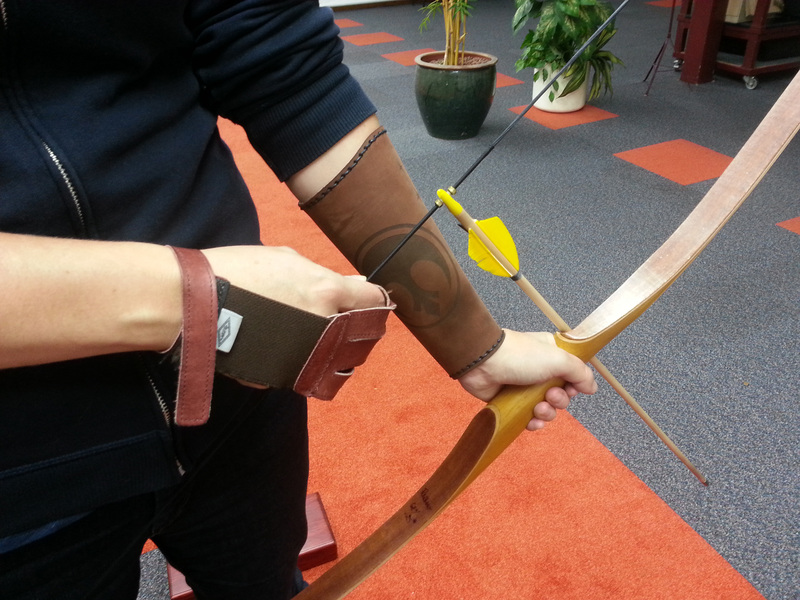 The hidden blade is drawn on the inner arm, looking more like a page from the sketchbooks of Leonardo da Vinci. 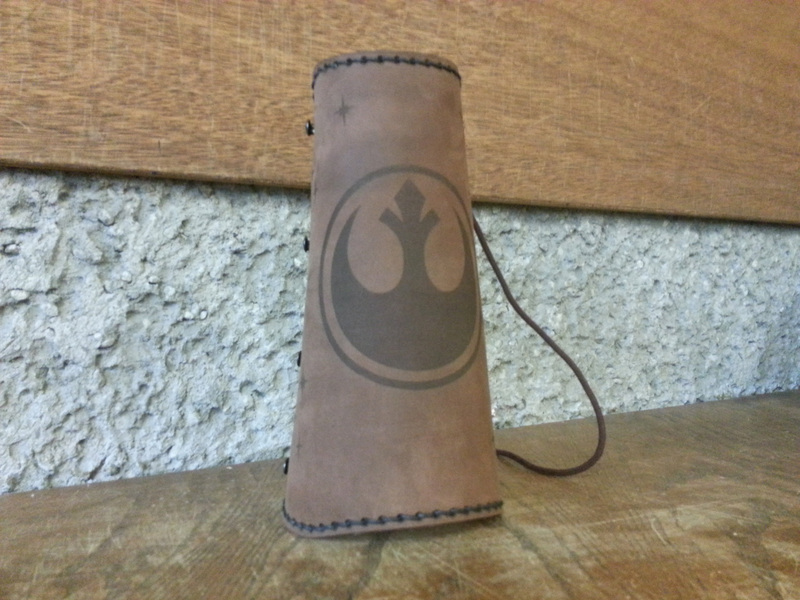 Completely scorched off the brown leather is the emblem used by the rebels in Star Wars, with a few stars surrounding it to tie the whole thing together. 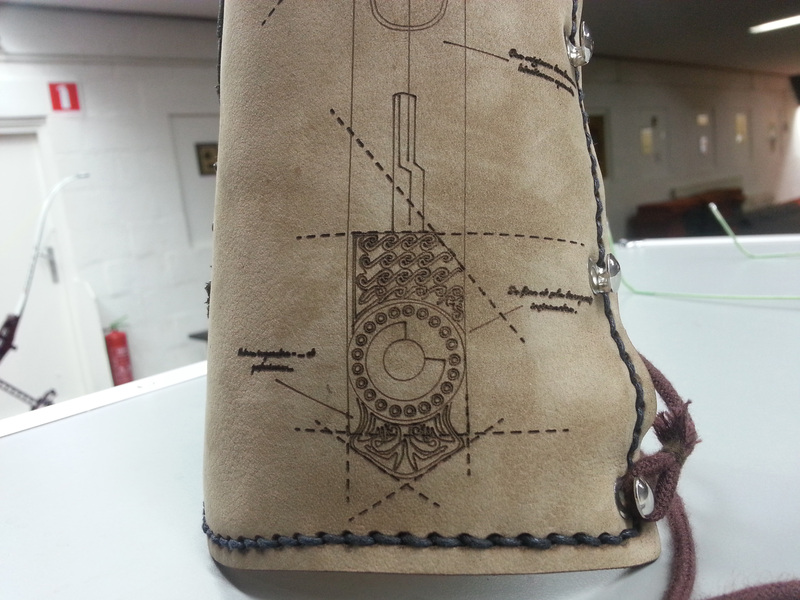 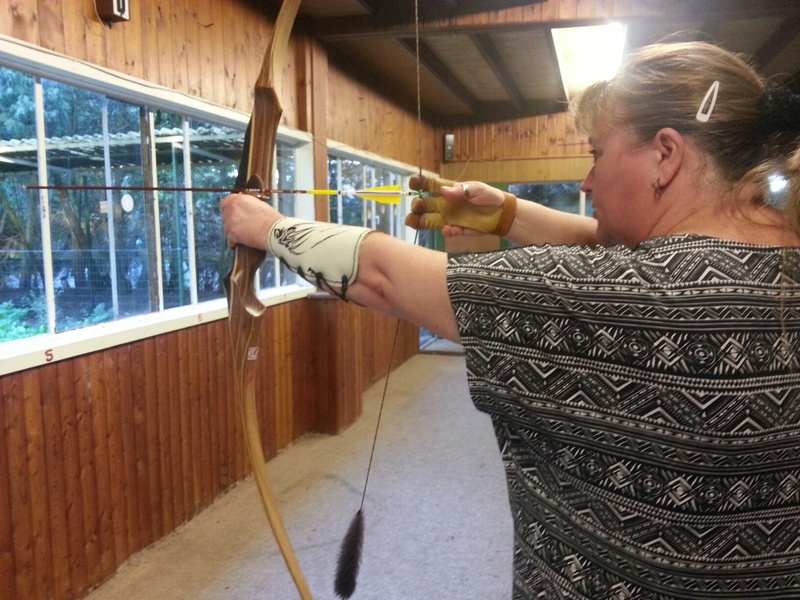 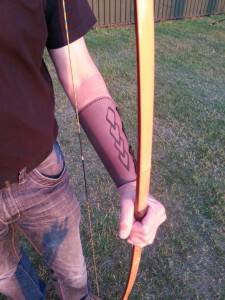 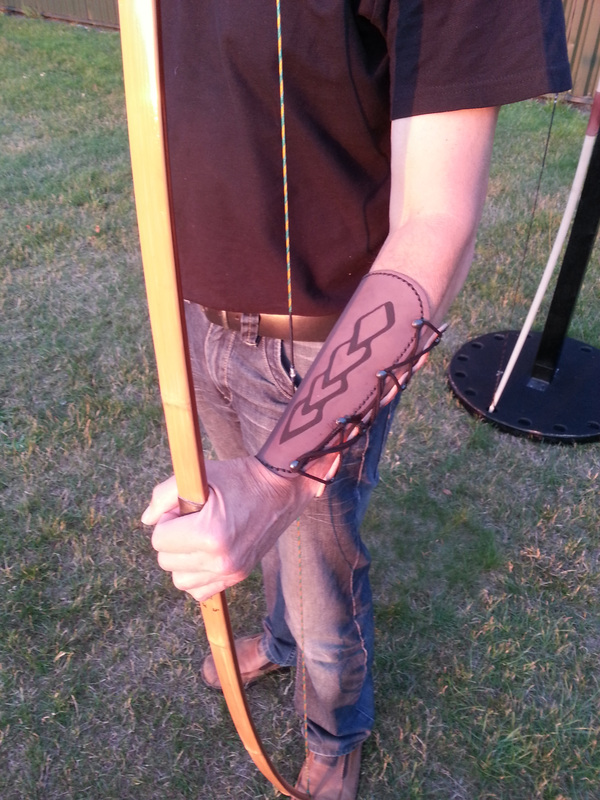 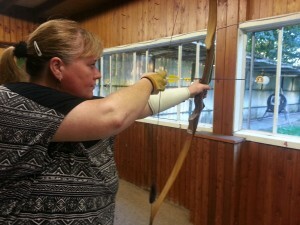 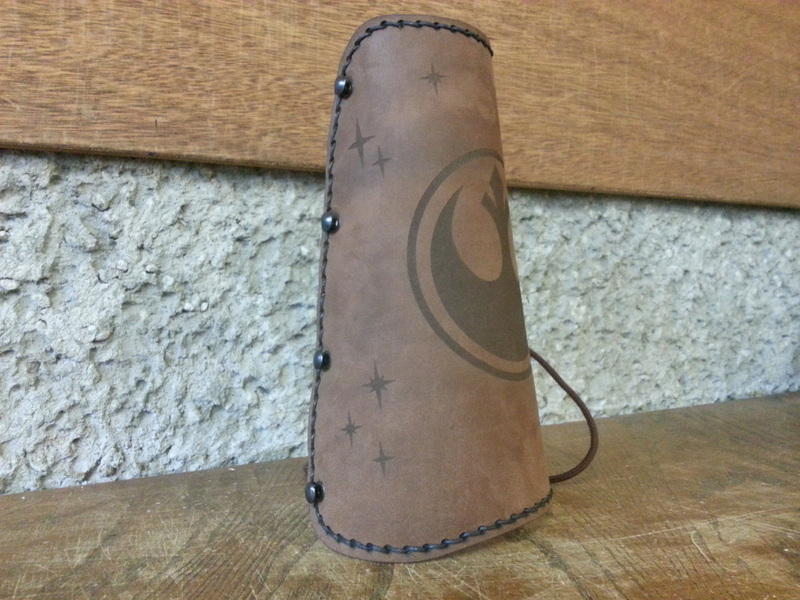 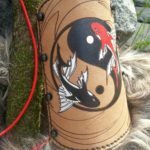 A simple and clean bracer with four Polynesian arrowheads on the top, pointing in just the right direction! 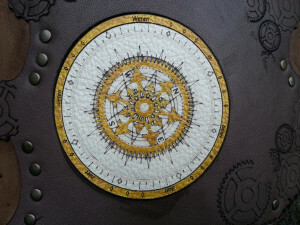 A double-layered design with many copper accents, and a intricate compass in the center.